Getting together with your family and friends to celebrate Easter can be a fun and rewarding way to enjoy the spring season and mark an important holiday. But with all the work involved, sometimes it can also be a lot of work and stress. 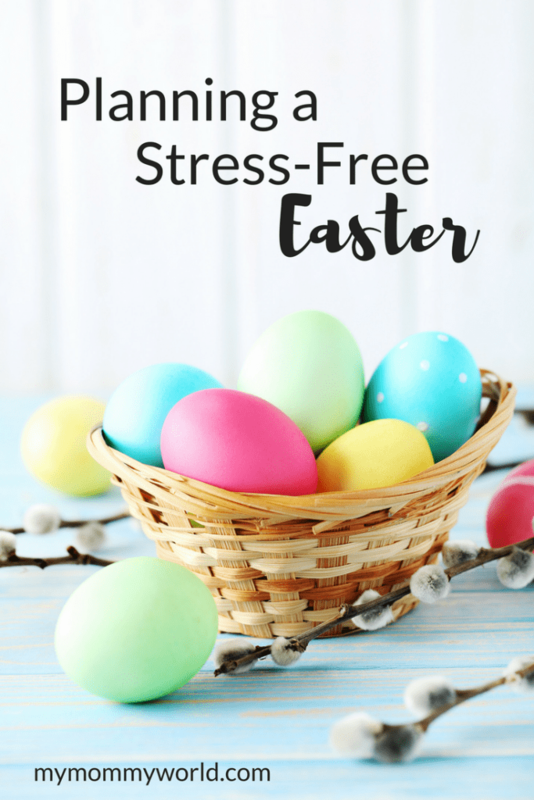 Take some of the burden off this year by planning a stress-free Easter with these helpful tips! Thinking about having a big group of people over to your house can be overwhelming, especially if your home is cluttered or in need of a good cleaning. Taking a few minutes to come up with a plan to clean all the necessary rooms of the house before hand will help you feel less overwhelmed and help you to get the work done in the least amount of time. Working on one room per day, for example, can help you focus on one area instead of getting distracted by other rooms. It’s also great to have your family pitch in to help. Even small children can help to little tasks, such as dusting or picking up toys. The old saying “Many hands make light work” really is true! 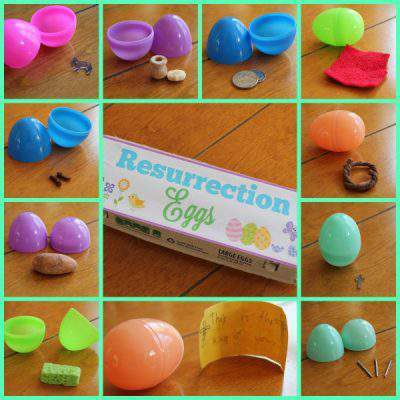 Each year, my kids love to color Easter eggs and put together fun crafts like Resurrection Eggs. But finding the time to fit in all this fun can be a challenge. Going through the calendar and marking off time for crafting in the weeks and days before Easter always helps us get these activities done. If you want to have a craft or game for the kids to play at your Easter gathering, now is the time to go ahead and plan for it. Decide what you want to do, then make a plan to purchase or make all the pieces ahead of time. There are some great craft ideas on my holiday Pinterest board and some fun Easter activities on my kids’ activities board. The most important part of any holiday gathering is the food, and Easter is no different. It’s a great time to break out some old family favorites and try some new spring treats. But preparing food for a big crowd can be overwhelming, especially if you have limited space in your kitchen. I love using my slow cooker for side dishes, because it gives me a way to get one part of the meal cooked without having to babysit the pot. Another way to cut back on the stress of food prep is to ask people to bring a side dish or dessert. This cuts back on the work that you have to do, and gives them the satisfaction of helping to contribute to the meal. There may even be a special dish that a family member or friend is famous for making, and it may please everyone to enjoy it. 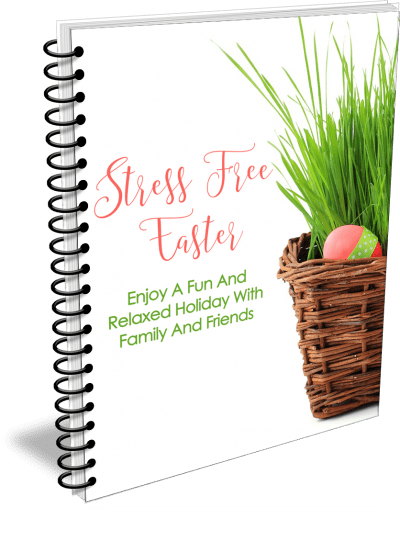 The few tips in this post will give you a great head start on planning a relatively stress-free Easter, but if you’d like more suggestions and tips, I’d love for you to download my Stress-Free Easter Guide! 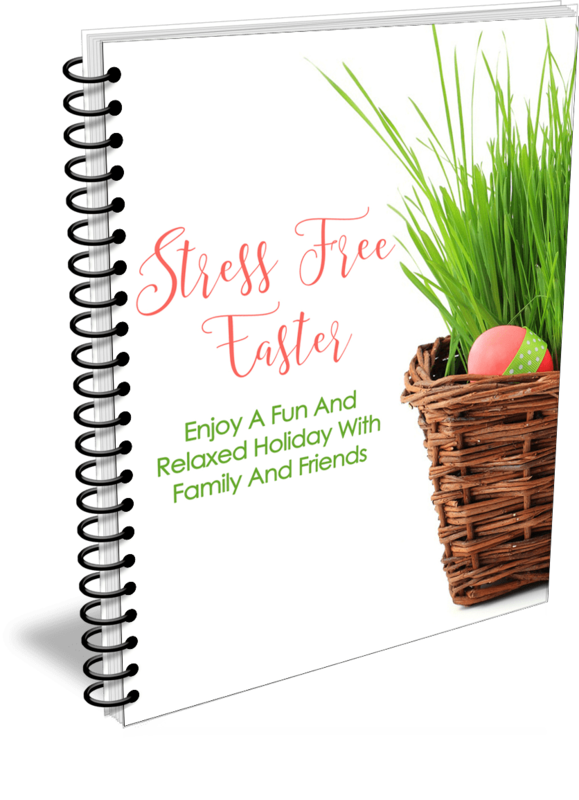 The guide will help you with Easter activities, decorations, menu planning and what to do with leftovers. Even better, it’s totally free for you! To get your guide, simply fill in your email address below. You should be able to download it immediately, but I’ll also send it to your email inbox as well. I like the suggestion of asking others to bring dishes. I cook for all the holidays since the rest of the family doesn’t like to cook. But they are always willing to bring something with them, a pie or store-bought rolls or a salad. All that helps me keep from having to make so much on my own. I also try to prepare as much as I can ahead of time and stick with side dishes that can be prepared ahead and then do the final cook the day of. I hope you and your family have a great Easter. It’s so helpful to know that dessert or the side dishes are all covered by family or friends coming to the meal. Then you can just focus on your big main dish. Hope you have a great Easter too!